In Celtic mythology, Owls know the way to the underworld and are fierce defenders of truth and honor. Owl has no tolerance for deception, even when we are deceiving ourselves. In ancient Egyptian and Hindu cultures the symbolic meaning of owl revolved around guardianship of the underworlds. Owls are often seen as mysterious, mostly because many owls are strictly nocturnal and humans have always found night to be full of mystery and the unknown. 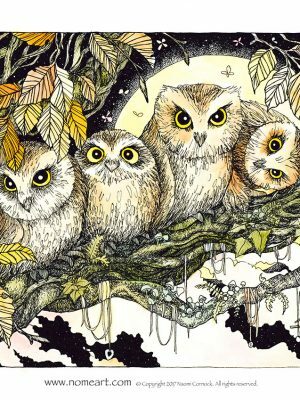 Owls live within the darkness, which includes magic, mystery, and ancient knowledge. 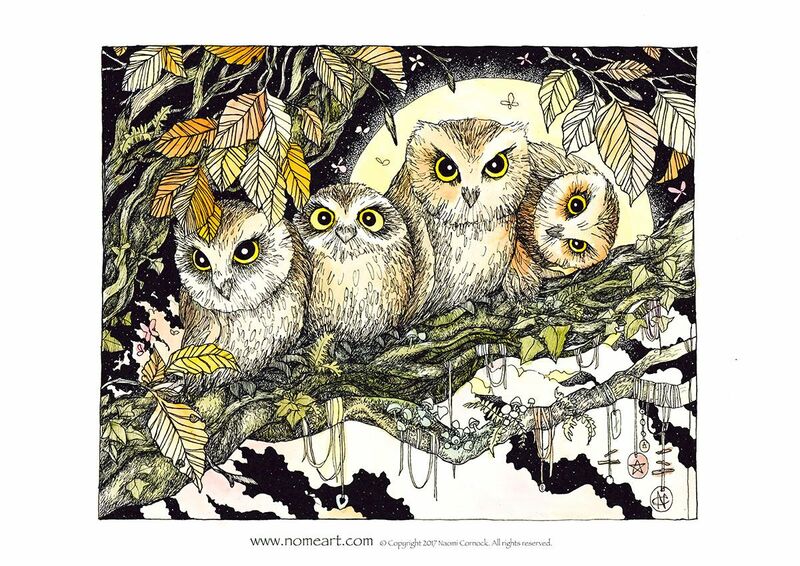 Related to the night and the moon, owl is a symbol of the feminine and fertility, with the moon’s cycles of renewal. To Owl I ask, guide me past illusion and deceit to the truth.